This blog post is long overdue since I see that I originally created it back in May of 2012. Doing a house renovation moves very quickly when the pros are involved, but when the work is up to us, it moves much slower. Our contractor was finished with their work in March, and got busy with our work to finish things off and move into the new spaces. We needed to paint, decorate, and purchase a few pieces of furniture. On a late spring day last year, Laura took some pictures of the house, and while we’ve done a few things since then, this is basically what it looks like. Starting with the outside, you can see the new dormers on the front. The one on the left is in the third bedroom. 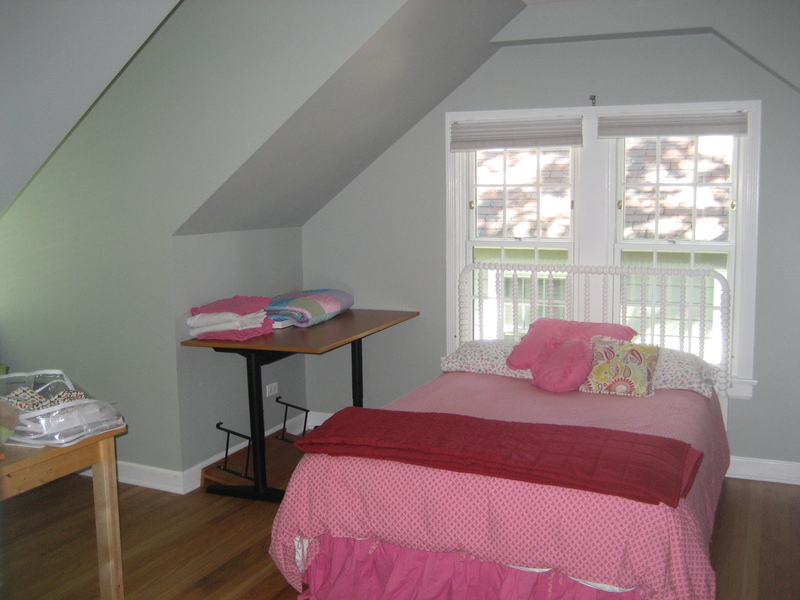 The one on the right is not in the room, but we added it for balance since one dormer looked way too small. The siding is Hardie Board, a concrete product. 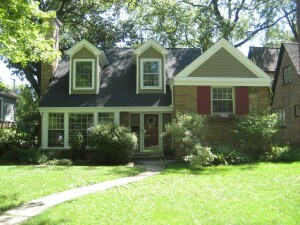 We have since painted the front door and shutters black. The back of the house shows the family room on the bottom with the master bedroom on top. The entrance is on the side, with a small roof over the door. The air conditioner condensers (we now need two of them) are under the mudroom window. 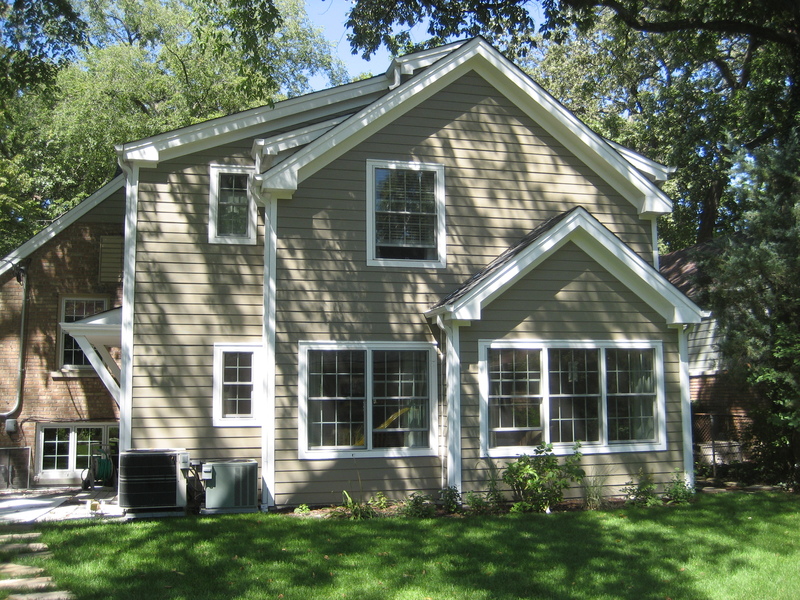 Again, this is all Hardie Board siding. 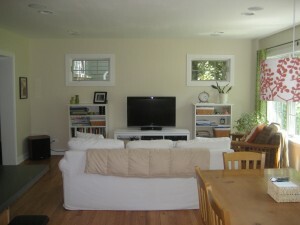 The family room now has space for a TV against the wall. 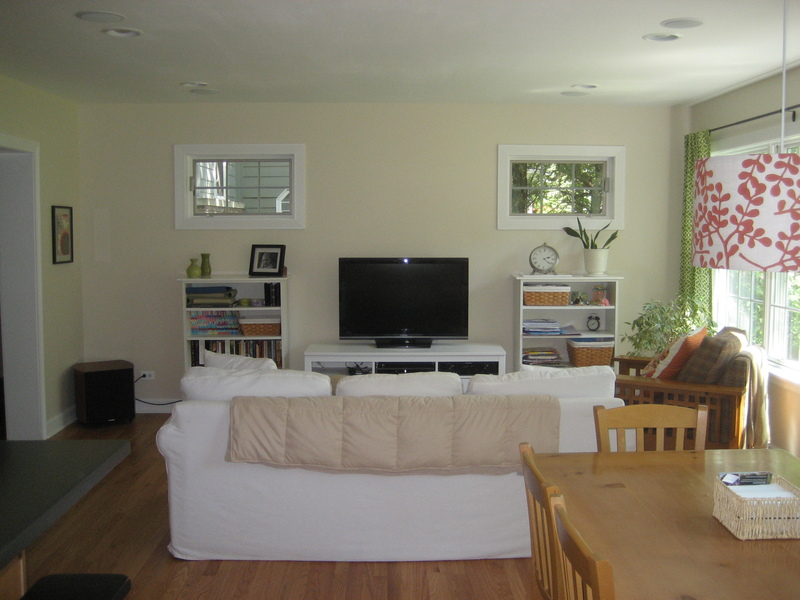 The two windows are raised higher to provide some privacy and plenty of wall space. The two bookshelves were IKEA kitchen cabinets without doors that we had installed in the third bedroom before the renovation. The eating area accommodates our old table that seats six. 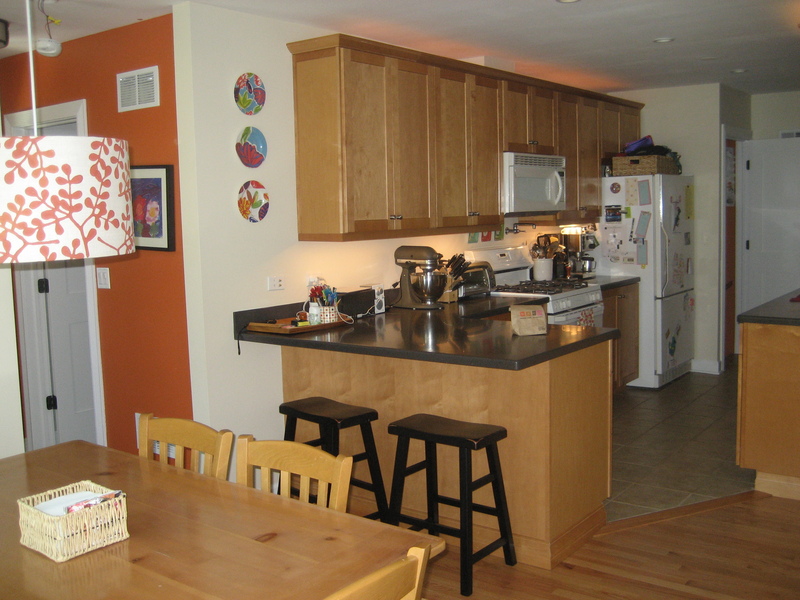 The kitchen was extended slightly, adding one wall cabinet and a peninsula for the base. There is a small eating area at the end where we eat most of our family meals. The door to the mudroom is to the left. 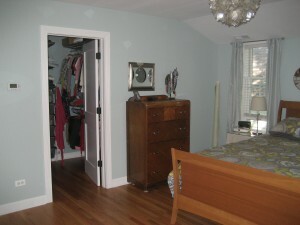 The powder room and back door are off the mudroom. 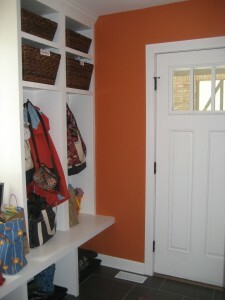 The mudroom has some built in cubbies. We have boot storage beneath the cubbies, as well as a small bench. This has cut down on the number of boots and coats hanging around the rest of the house. It makes a huge difference in the winter, especially. Adding a mudroom was probably the best decision in the project. 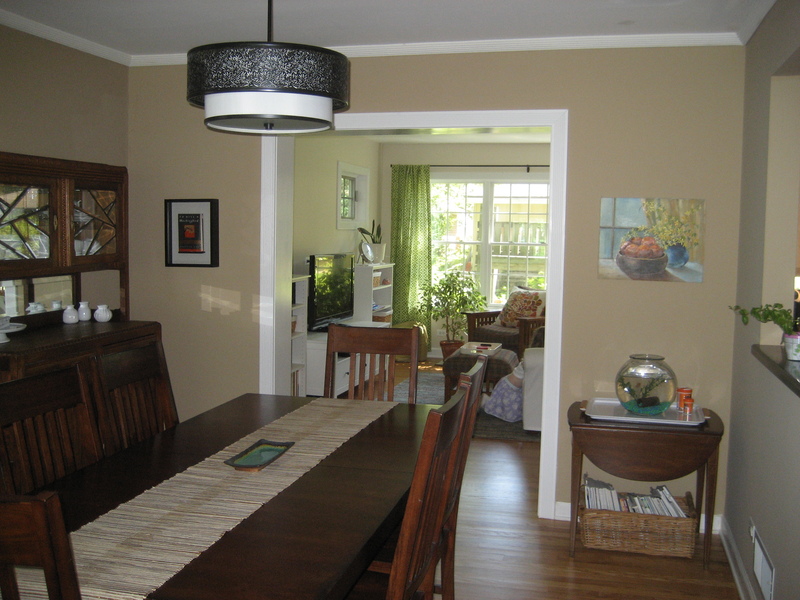 The dining room is basically unchanged, but has a straight shot into the family room instead of step down like before. The floor contractor did a good job of blending the flooring between the new and old space, you can’t see any difference in color. We have moved Audrey into our old bedroom from the upstairs room. We got a great bunk bed from some friends who moved overseas. 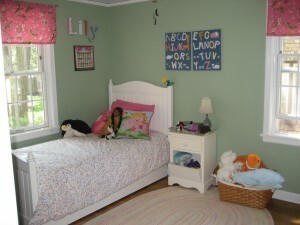 Lily’s room is unchanged, but she now has Audrey’s old bed, which gives her a lot more floor space. The third bedroom was Audrey’s old room. It has a bit of a strange layout due to the dormer and a lack of contiguous wall space. 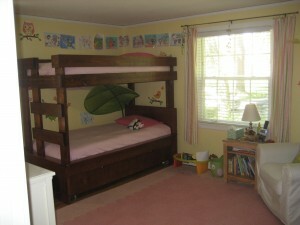 Lily’s old bed is in there as a guest bed, and a small table is used for Laura’s sewing machine. 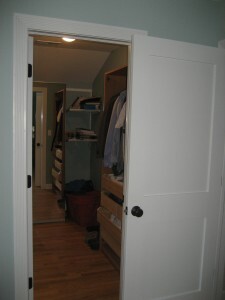 We also have a larger closet for storage. In hindsight, we would have move the doors of the closet to provide more wall space for the bed. 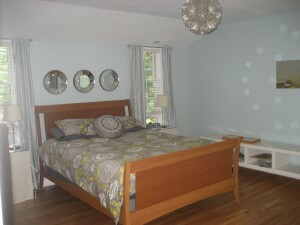 Finally, the last room is our bedroom towards the back of the house. We have two windows to the east with the bed between them. 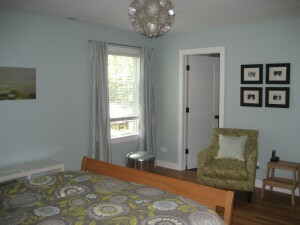 The south side has one window, and room for a chair between the doors for the bathroom and one of the closets. 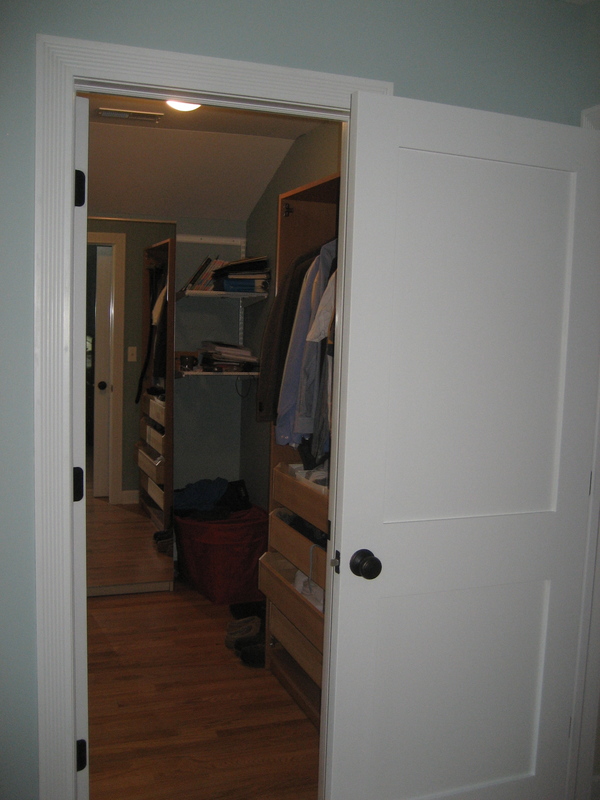 There are two closets, which has been very nice. Laura setup her closet with some Elfa shelving. Matt’s closet has some wardrobes in it that we had used in our old bedroom. The master bathroom has a vanity, toilet, and a shower. We chose subway tile for the shower, with penny tile as a border and for the shower pan. 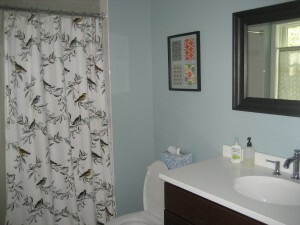 We also decided to use a shower curtain for now, someday we may have a glass door installed. 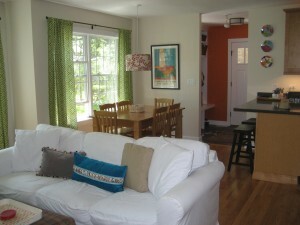 After a full year in the updated house, we have really enjoyed the new space. We’ve enjoyed having people over, hosting a small group from our church weekly, and spending more time together as a family in the same space. We look forward to using the space for years to come. If you live in the northern suburbs of Chicago and are looking for a contractor, we’d recommend our builder, Forest Glen Construction. They are a complete design and build business. Their subcontractors were very good, they finished on budget and on time, and there were very few surprises. The few issues that have come up since have been dealt with quickly and thoroughly. We chose them after strong recommendations from several friends, and they have done work on a few other houses in our neighborhood. 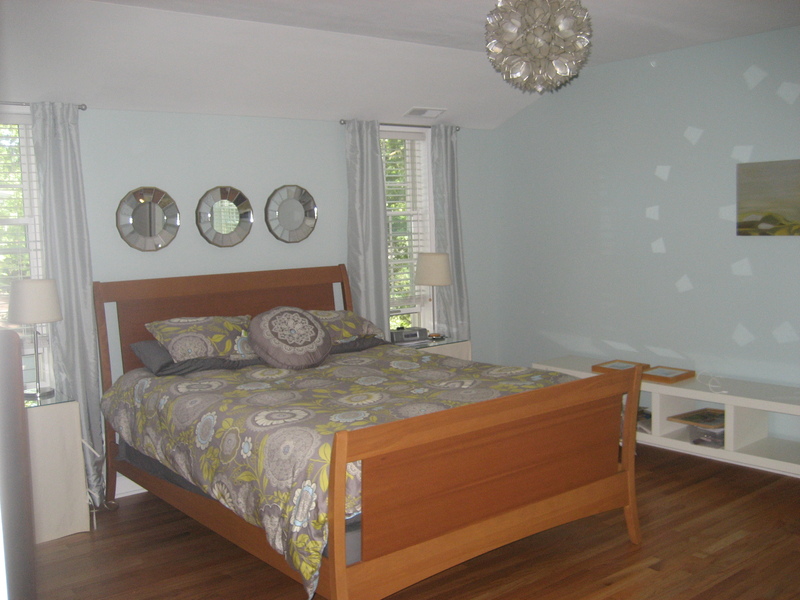 We would recommend them to others looking to do a home remodel or even a smaller project. In fact, they are already finishing up a remodeling project for a neighbor who chose them after seeing them work on our place.